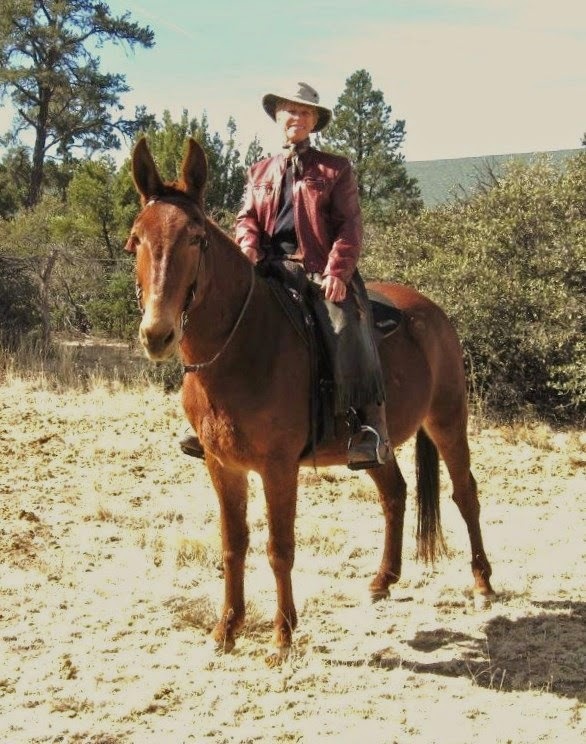 FQ: You’ve written two books about equines. What made you decide to write a book about dogs? MILLER: Well, the advice is to write about what you know, and my life is full of animals, so my books concentrate on them. I really love these dog stories; they are timeless and could be written by many other dog lovers about their own pets. I usually work on several books at a time, because I try to write about animal things as they happen so I don’t forget. Finally, the dog book got finished and published. FQ: You developed an interesting way of selecting new puppies, by sitting with them and watching their interactions and how they related to you. Would you share with our readers a little of your philosophy about picking a new best friend? MILLER: I believe the animals in our lives should have a choice to be a part of it, if possible. It isn’t always possible, and not all of mine have been “chosen” that way, but it is a real thrill when a dog or puppy decides “you are the one.” My favorite way is to sit quietly and observe what happens. I also write about adopting a little poodle from the humane shelter by observing him in his little pen while sitting outside while a friend played with one she eventually adopted. He definitely called me, and I heard him! FQ: I’m a horse show person too and while tempted, I’ve never brought a dog/puppy home from a show. Did your husband Hal eventually get used to seeing new dogs when you returned from a show? MILLER: I think my dear husband was more resigned than anything else, but he is a real trooper, even to this day. As I meet other ladies who are really into fostering and adopting needy dogs, I hear the same refrain, “My husband threatens divorce each time I bring home a new animal.” Most are joking as their husbands are actually supportive too. Hal, however, never even in jest said that. He knew his wife, and knew that animals are as much a part of my life as breathing. FQ: I found the ‘BARF’ diet interesting. Would you discuss this a bit? One can purchase already prepared raw dog food. It includes the vegetables, fruits and various red meats. Because we have big dogs and that would be very expensive for us, we did our own. FQ: Related to the best diet for dogs – all natural, grain-free diets are all the rage now. Some of the well-known brands are very expensive. What would you suggest dog lovers do to be sure their pet is getting the best? Make their own or ? MILLER: I admit feeding raw foods is more time consuming that dumping kibble in a bowl! Sometimes I just think I cannot look at another glob of frozen chicken backs. To be safe, we cut them in half now that Blue is older, to be sure she can chew safely, and it can be yucky. When we got Jac, the Doberman, he was in a breeding facility; they were shutting down because of health reasons, and wanted a nice family home for him. I had been looking for a puppy, but found Jac instead, so wanting to do a nice thing, took him. These folks had developed their own brand of dog food, and I admit, all the dogs looked wonderful. So, thinking I would keep Jac on his food, I bought 2 large bags. Life would be easier in my “older age.” Well, Jac had horrible gas and he now got to sleep in the bedroom, so something had to change. As a treat to Lady Blue, we had been giving her a small portion of very expensive Bison/Sweet potato dry kibble in the morning, raw food at night. We switched Jac to the same program and the gas was gone. He is a big boy and eats a LOT. So I admit, we are no longer “pure.” I think that isn’t a bad thing. They get the best of both. The dry kibble is, as you say, very expensive as it is a meat product. I have a friend whose four dogs are their family. She had fostered about 40 dogs in her past, and she cooks food for them every day. It is meat and vegetables, but cooked. She is a vegetarian! So there are many ways to feed dogs correctly. I would definitely stay away from the cheaper mainly grain diets, which have been proven to be detrimental. However, a dog that is starving, alone and afraid, would love to be pampered with less than perfect dog food. So do what you must, and save and love as many dogs (and cats) as you can! FQ: Some of your early dogs didn’t fit into your lifestyle/farm and you were forced to find them new homes. I found your honesty in discussing these episodes refreshing. Some people say you should never give up on a dog, but yet, your dogs found great homes. What would you advise somebody who just can’t make it work with their present dog? The dogs were the same way. One went on to become a famous cow dog in Texas but for me she chased my horses dangerously. She was bred to chase. I didn’t need that talent, or know what to do with it. I think more problems, grey hair and mental breakdowns can happen to both animal or human if you think you have to conquer every problem. But, find a home or foster group for the animal yourself, do not relinquish to a shelter. That is my motto. FQ: There are several times in your book where you mention seeking the wisdom of an animal communicator. People have very strong opinions about animal communicators, both pro and con. Is there something you can point to that led you to believe in them? What would you say to somebody who doubts their validity? MILLER: First I would suggest they read all three of my books, as I tell stories of communication with my animals. Second, it again is black and white in some folk’s minds. They are not open to a higher level of love and communication. I have learned not to try and change their minds. I also have found that is usually the men who don’t believe it. I first got hooked on it with a young colt I was trying to teach to lead. I simply couldn’t get him to follow along beside his mom with me “leading” him with a rope which should be easy. He fought, backed up, fell over and it was ugly. I was in tears. Now by this time in my life, I had taught numerous baby horses to lead, indeed had shown some. This colt was my pride and joy, sired by my new stallion, and out of a super mare. A year or so earlier I had been told about a lady who talked to the animals over the phone. She didn’t need to see or touch them. She was psychic. I am open to most things, and fascinated by things intuitive. I called Mary the next day. We talked to the little colt, she explained to him what I wanted, gave him the feeling of being led. The next day, with great excitement, but apprehension, I put the halter on his little head, attached the lead rope and simply led him out of the stall without his mother! I was hooked forever. Over years of chatting with Mary (my favorite communicator) I discovered talking to the animals is like talking to children. Sometimes they are very communicative, helpful and willing to cooperate, sometimes not, but I still love it and work at communicating with my animals myself. I am getting better, but I am not as good as Mary. FQ: Proceeds of your books go to various animal support groups. Would you tell our readers a little about a few of those groups? FQ: Any advice for our readers who may wish to donate to an animal group? What are some of the ways to find a good, reputable organization? This book is dedicated to the many men and women who tirelessly, unselfishly and devotedly work to make this world a better place for all animals. I am honored to count many of you as friends. 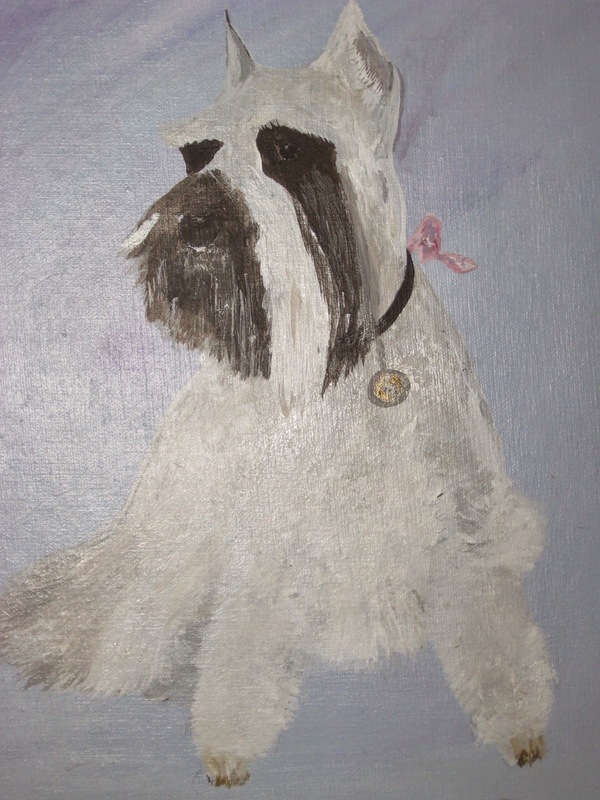 To learn more about Little Miss Muffitt: Guardian of My Heart: A Tribute to All Those Special Dogs Who Capture Our Hearts and Stay Forever please read the review at: Feathered Quill Book Reviews.